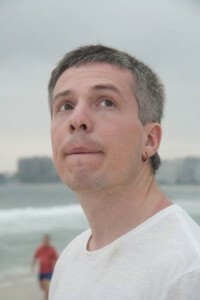 Home > Devexperts	> We will forever cherish the memory of you, Artem. You will be greatly missed. We will forever cherish the memory of you, Artem. You will be greatly missed. Our close-knit company has suffered a tragic loss. On Saturday, our friend and colleague Artem Kozyrev, a warm-hearted and inspiring person, fell through the ice to his death. Artem was one of the co-founders of the company, the person behind the first versions of the TOS and Thinkpipes platforms and a great source of expertise on option trading. Artem was a kind, wise and open-minded person with a positive attitude. It was great pleasure to work with him because of his exceptional friendliness, outstanding intellect and knowledge. He was always determined to do the right thing the right way. Artem was a loving husband and father of two young children. How Requirement Patterns can benefit your business GUI Automation Difficulties. When marketing collides with real life.